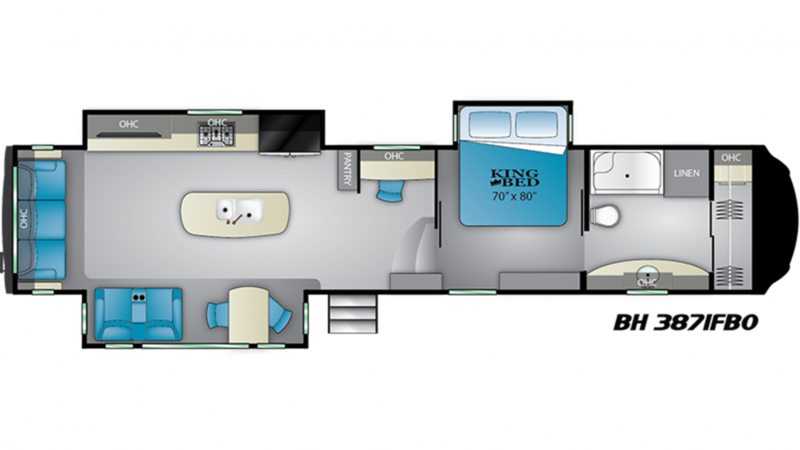 Come on down to TerryTown RV to find the nation's lowest prices on top quality RV brands, including this 2020 Heartland Bighorn 3871FBO! This 5th Wheel and other stunning RV models are located on our lot at 7145 Division Ave S Grand Rapids Michigan 49548! Call one of our RV experts at 616-455-5590 and you'll soon see why we're known as one of the best RV dealers in all of Michigan! 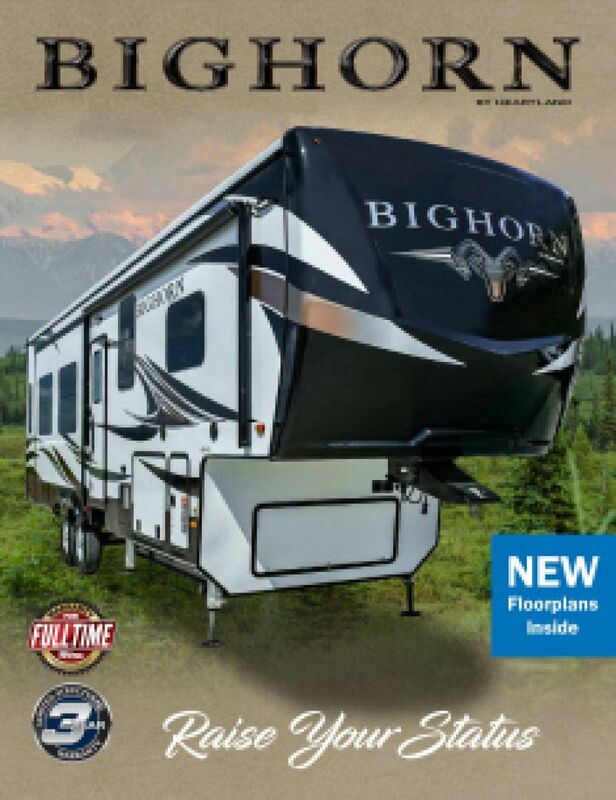 Travel with ease with the Heartland Bighorn 3871FBO! This 42' 0" long 5th Wheel has a hitch weight of 2750 lbs. and a GVWR of 16250 lbs. Stay cool under the shade of the 20' 0" awning. No one feels cramped in this spacious RV. The Heartland Bighorn is 42' 0" long and 8' 0" wide, and the 3 slides expand the living area inside to its maximum comfort level. You won't have to duck your head inside, either, because this 5th Wheel is 13' 3" tall! When the weather outside isn't cooperating, you'll lounge inside in comfort, staying warm on cold days thanks to the 40000 BTU furnace, and cool and comfortable on the hottest days with the 15000 BTU air conditioning unit! 4 people can sleep in peace and comfort inside this snug RV! It has an array of sleeping accommodations, but among the coziest is the King bed in the master bedroom! When you're on the road, meals can be a challenge. You want variety, you want flavor, and you don't want to spend lots of money on unhealthy fast food for your family day after day! That's why you'll be glad that this RV has a beautiful kitchen with modern cooking appliances, including a convenient 3 burner range cooktop, as well as a handy 18.00 cu. ft. refrigerator to store all your favorited foods and cold drinks! The 65 gallon fresh water tank provides enough clean water for the entirety of the trip!